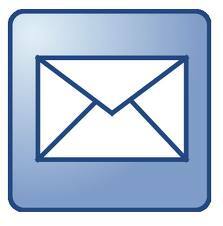 If you’re in business then it is inevitable there are problems that need to be solved. Unfortunately, many are not great problem solvers. We want to solve each problem we face. Not all problems are the same and can’t be solved the same old way. Now there is a new resource to help you understand and coach the art and science of effective problem solving. Type 1: Troubleshooting - A reactive process of rapidly fixing abnormal conditions by returning things to immediately known standards. Type 2: Gap-from-standard - A structured problem-solving process that aims more at the root cause through problem definition, goal setting, analysis, countermeasure implementation, checks, standards, and follow-up activities. Type 3: Target-state - Continuous improvement (kaizen) that goes beyond existing levels of performance to achieve new and better standards or conditions. Type 4: Open-ended and Innovation- Unrestricted pursuit through creativity and synthesis of a vision or ideal condition that entail radical improvements and unexpected products, processes, systems, or value for the customer beyond current levels. The book starts with a history of problem solving techniques over the last century. There are far more similarities in the approaches then differences. They employ some type of observation to understand the situation, some form of problem definition, analysis, implementation, experimentation, measurement, and an interactive cycle for learning. Art presents a basic framework and logic of the four types of problem solving with practical steps for application. He clearly characterizes four distinct types of problems by their defining features making problems quickly recognizable and actionable. Each type of problem category has its own sub-system and surfacing mechanism, management cadence, timing, and difficulty level, he explained. One size does not fit all situations and just training people in tools or techniques only scratches the surface of problem solving. This book is a great resource to train and develop your own problem solvers. Art shares the strengths and weakness of each problem solving technique. It is also helpful as a reference guide when your stuck. Each chapter includes questions for you and your colleagues to reflect upon and address. 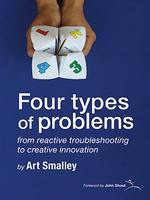 The Four Type of Problems is useful book to anyone interested in solving problems and making improvements. Art did a wonderful job breaking down this challenging topic. He gives us a framework, a mental model, to effectively approach and assess a situation in order to seek and bring the appropriate kind of thinking to calmly, confidently address the problem at hand. I was delighted by this book and recommend it to anyone who wants to improve their capability in problem solving. Disclosure: The publisher provided a copy of this book for the purpose of reviewing it.